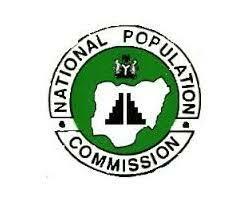 The National Population Commission (NPopC) has advised the Federal Government on the need to take a census of Nigerians. Acting Chairman of the commission, Alhaji Hassan Bashir gave the advice while addressing a news conference in Abuja, before the take-off of the Enumeration Area Demarcation (EAD) exercise on Thursday, in 23 selected states across the country. The acting chairman, who noted that the country was due for a head count, said this was the appropriate time for a national census. According to him, the National Census will give Nigeria the much needed current data to aid effective planning. He said the country was three years behind schedule for the next headcount as a population and housing census of Nigerians, last conducted in 2006, ought to have been taken after ten years. Bashir said that the commission was looking forward to conducting a census soon, hoping that after the elections in the country, the Federal Government’s next priority would be a national census to help in planning for development purposes. He expressed hope that the commission, which was awaiting President Muhammadu Buhari’s quick proclamation on the matter, would soon start preparations for a census. Also addressing journalists at the event, Alh. Gaji Bello, the Director General of NPopC, said that the lack of legislation on the conduct of census in the country had brought a lot of setbacks to the commission. Bello also stressed that without accurate data from a head count, there would not be proper planning in the country; and therefore appealed to the Federal Government to make provisions for a national census.